My phone is an ultimate resource for me. Interestingly enough, the thing I do the least with my phone is actually talk on it. I don't talk on the phone very often, but there are several apps that I use daily to keep my life together. Stigma. Stigma is a journaling app that allows for short form journaling through your phone. It also creates a mood cloud based on your entries showing you what you write about the most - which equates to what is troubling you the most, or making you happy. You can also set up notifications to remind you to journal. I really like being able to make quick journal entries about what I'm feeling and using the mood cloud to assess my emotional state. Wunderlist. Wunderlist is a list app. I love it because you can have shared lists, so Hubs and I can simultaneously add items to our grocery list. This is also helpful if we split up in the store, because we can see as the other person checks off items. Wunderlist also syncs across devices, so I can add things from my computer and see them on my phone, and vice versa. Google Docs/Sheets. These two apps make for easy on-the-go access to my documents via my phone. I can see budgets, or work documents wherever I am. Google Photos. Google Photos makes the list because it automatically backs up the photos on my phone. This allows me to delete photos from my phone's storage, but still be able to access them easily. Prior to using this back-up method I had so many photos on my phone I had to delete photos to be able to take new ones. Google Photos also has an Assistant function that reminds you to back up photos, automatically creates collages from similar photos, and shows you the photos you took a year ago on the current date. Kindle. The Kindle app is a great way to have your Kindle books with you all the time. Even if you have a Kindle you probably don't carry it around all the time. I love when I have unexpected downtime and I'm able to whip out my phone and continue reading a book. The reading quality is really good. You can manipulate the lighting and text size for what is most comfortable for your eyes. Google Calendar. It is supremely important for me to be able to update and view my calendar on my phone and desktop. The synced Google calendar is perfect. And because I'm a Gmail user I get the added functionality of being able to add events from invitations I get via email, and things like flight and hotel reservations are automatically added to my calendar from receiving my email confirmations. I didn't know Google Photos existed! Um, SO HELPFUL. I use my Kindle app & the Goodreads app almost daily. Other than that, it's all pretty standard social media & day-to-day stuff (weather, banking). Google Photos is the bomb! I'm going to have to check a few of these out!! I use Yelp and Waze a lot with the amount of traveling I do. That makes sense. It feels like Yelp is really trying to corner their industry. Evernote! It's my favorite note taking app when I'm on the go because it sync's with my computer. I'm a big fan of the wunderlist and kindle apps. 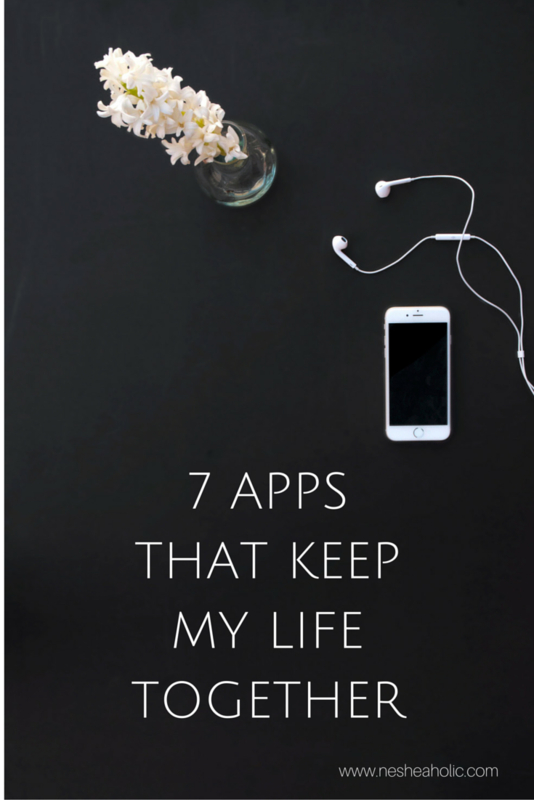 I also use a app called prism to stay on top of bills and spending. I should check our prism. I use a real simple app to keep track of spending but I'd like something more.